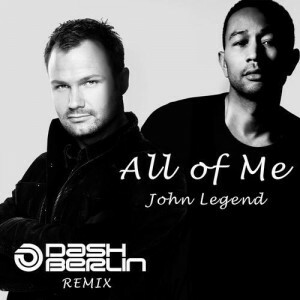 John Legend has been all over the radio the past few weeks with his latest single ‘All Of Me’, and now that piano ballad gets the dance treatment from Dash Berlin. Premiering on A State of Trance 650, the ‘All Of Me’ remix starts out slow and steady like the original and progresses into a beautiful trance anthem about a minute and a half in. This remix is powerful, giving depth to the song and playing up the raw emotion that went into the original. This one is definitely festival ready! Be sure to give it a listen!